THE HAGUE, WILLEMSTAD - In January 2018, a case was filed with the UN Court of Human Rights, in which the free right of admission is discussed throughout the Kingdom or, at the very least, between the six islands. In principle, there has always been freedom of establishment between the islands since 1634. In 1986, Aruba changed that first. At the time there were some lawsuits, but the Aruban wall for the other Antilleans has remained largely intact. The Supreme Court has received two cases about this, but no matter has ever been referred to the International Court of Human Rights. Between the Netherlands and the islands there used to be a free right of establishment for (European) Dutch citizens (but not for Dutch 'nationals'). In 1962 this was changed by the introduction of the National Ordinance Admission and Expulsion (LTU). Then restrictions for European Dutch were introduced to settle on the islands. 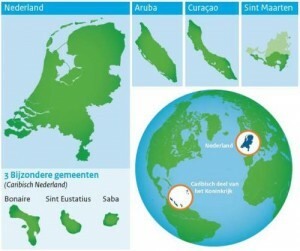 Since 2010, the BES islands have ruled that Dutch citizens from the Netherlands, Curaçao, Aruba and SXM no longer have a free right of establishment. This is in violation of art. 12 of the International Covenant on Civil and Political Rights (ICCPR). That is why a case has now been submitted to the UN Court. In this, it is primarily demanded that the Court establish that all Dutch citizens have a free right of establishment throughout the Kingdom. The Netherlands protested against this and insists that European Dutch people should not have a free right of establishment on the islands. That is why the UN Court of Appeal is asked in the alternative to at least determine that Dutch Caribbean nationals have a free right of residence between the islands. As was always the case. These lawsuits take a lot of time. Probably a decision will be taken somewhere in 2021. But better late than never. The documents are posted on our website: www.arcocarib.com On the front page, click on 'Fifth GMS Court Case', case Hansen v. the Netherlands. There you will also find a complete compilation of the first 27 Open Letters to the Seated Magistracy under the title: "Palace of Ma'at" (the ancient Egyptian word for Law). The book 'Cuba, a New Beginning' in English and Spanish can also be read there.